The sheep was dead - they were sure of it. 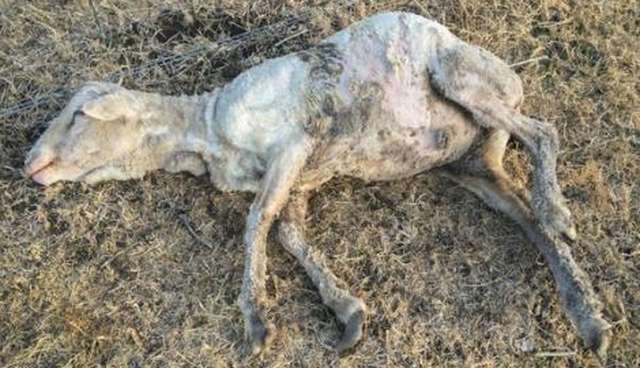 The couple had been driving down a country road in Victoria, Australia, when they spotted the animal lying on her side in a paddock. They stopped the car and got out to have a closer look. As they bent over the body, the sheep's leg twitched. Still alive! The couple phoned Pam Ahern, the founder of Edgar's Mission, a local animal sanctuary, asking for her help. Ahern, however, was several hours away attending to a sick calf, so she suggested they call other animal welfare organizations as well as the local police. The couple followed Ahern's advice, but since it was Boxing Day (a major public holiday in Australia), help didn't come. The couple was stunned to see the sheep lying in the same position when they drove by again many hours later. They snapped a few photos and sent them to Ahern. 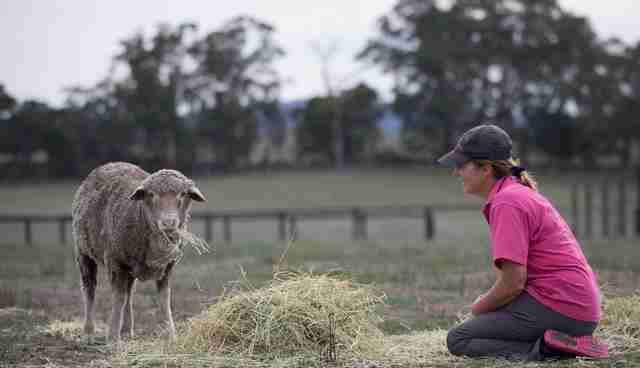 When Ahern saw the sheep's condition, she was horrified. She was still several hours away, but she hurried back and organized a rescue team. "It was clear the sheep had been down for some time," Ahern tells The Dodo. "We'd had a particularly hot period, and the previous night we had rain as well. It was incredible she was even alive." When Ahern arrived at the scene, she, like the couple, believed the animal had passed away. "She didn't move, even when I was standing right next to her," says Ahern. Another leg twitch proved her wrong. "If it hadn't been for the urgency of the situation, I would have burst into tears at the pitiful sight of her," Ahern says. "Surely she was one step away from death. But the sheep hadn't given up and neither would we." 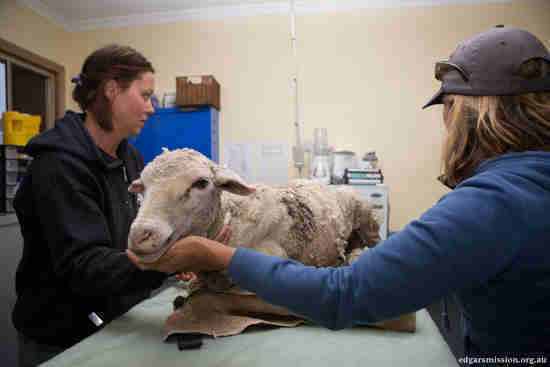 The sheep - named Posy by Ahern - was placed in a stretcher and carried to the sanctuary's rescue vehicle. When the rescue team offered Posy some hay on the drive back, Posy moved her head to have a nibble. "At that moment, we knew we were in with a chance," says Ahern. Back at the sanctuary, Posy received urgent medical attention. 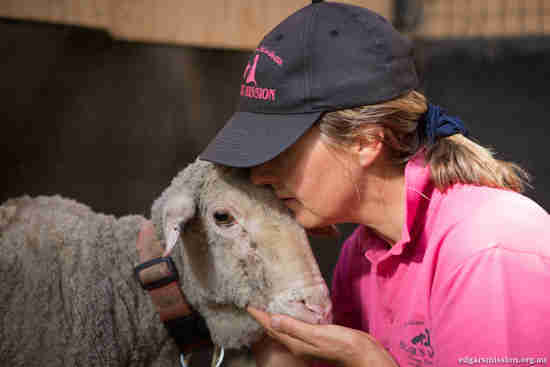 The rescue team realized she had flystrike, a disease caused by blowflies laying eggs on a sheep's skin. 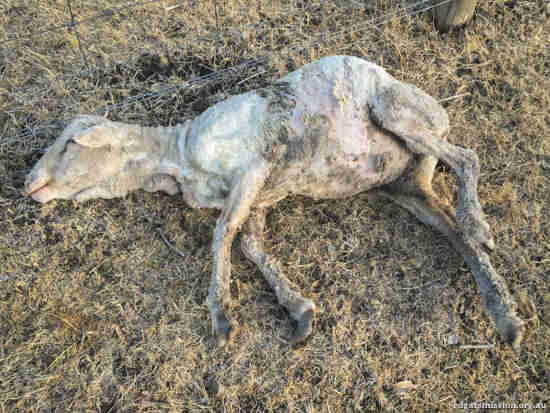 When the eggs hatch into larvae, they feed on the sheep's tissue, causing inflammation, general systemic toxemia and, in the worst cases, death. Ahern could see that Posy had been treated for flystrike, but she hadn't been kept confined or monitored for blood poisoning. Another issue was Posy's hoof, which was overgrown and filled with maggots. Ahern couldn't understand how the farmer who'd looked after Posy hadn't detected or treated this issue. It also amazed Ahern that Posy had recently been shorn. 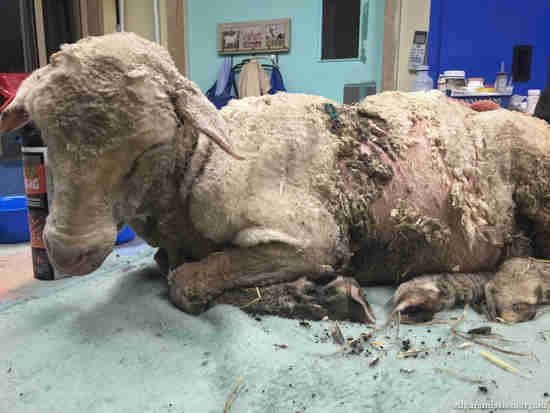 "It was clear Posy had been flystruck prior to being shorn, and treatment had been applied to kill the maggots," she says. "This meant someone knew of her poor state of health and didn't do anything about it." Posy was in such bad shape, Ahern wasn't certain they could save her life. 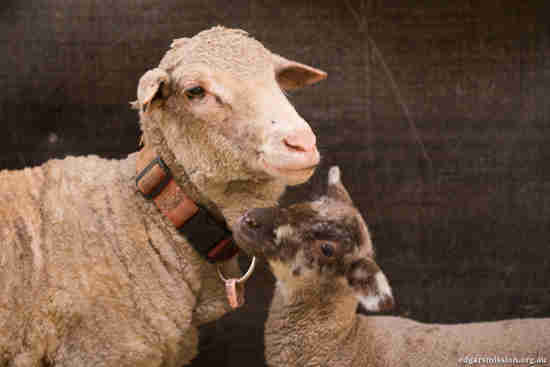 The sheep was incredibly thin, and large patches of wool had fallen off, exposing tender pink tissue. Posy was also not able to stand on her damaged hoof. The rescue team gave Posy an IV drip to administer fluids, then cleaned and bandaged her wounds. They also worked to pare back Posy's hoof and remove the maggots. The poor sheep was so weak, they had to occasionally adjust her position so she didn't get stable sores or fall onto her side again. Despite the odds being stacked against her, Posy grew stronger and stronger. She started to stand on her own for short periods of time and developed an insatiable appetite, chowing down on anything offered to her - hay, fresh green grass and chaff mix. 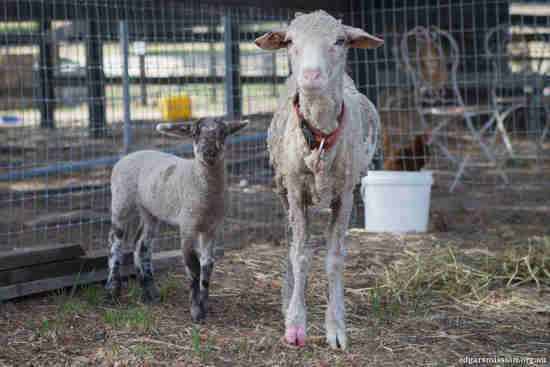 Posy also formed a special bond with an orphaned lamb named Primrose and their friendship helped her heal. 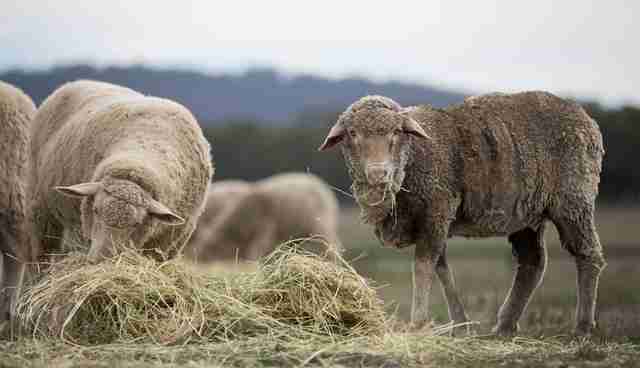 Four months later, Posy has fully recovered and now spends her time grazing with the flock at Edgar's Mission. She looks so well, Ahern sometimes finds it difficult to distinguish Posy from the rest of the sheep. 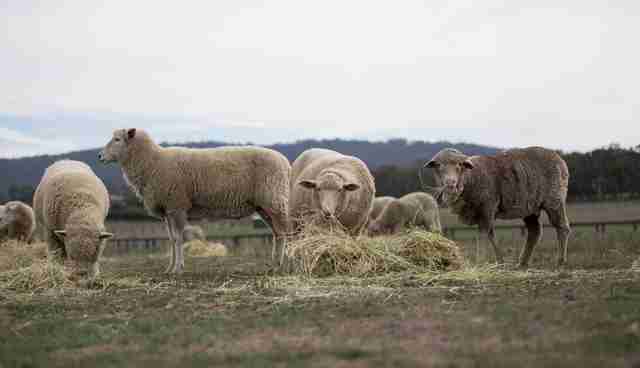 "Posy looks like any happy and healthy sheep," says Ahern. "The only telltale sign of her ordeal is the irregular length of wool on her body where the flystrike had been." "We feel incredibly blessed and rewarded that Posy has survived and flourished," says Ahern. "Posy inspired us all that no matter how dire the situation is, one must never ever give up." 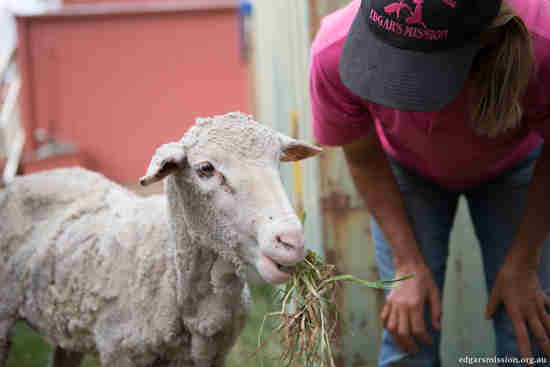 To help sheep like Posy, please consider donating to Edgar's Mission.